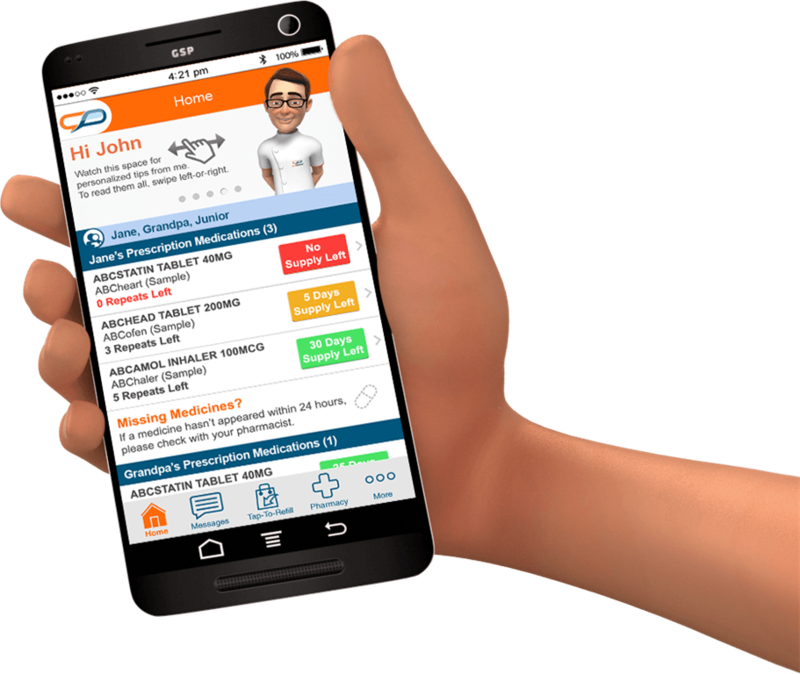 MedAdvisor has been designed using state-of-art internet and mobile phone technology to provide you with a tool that ensures you use medication safely, effectively and on-time. MedAdvisor's home screen provides an automatic list of all your prescription medications, updated whenever you fill scripts. See complete details of scripts, repeats left, supply left and medication information. Automatically reminds you when to fill your recurring scripts, and chases you up if you forget. Also lets you know when you need to visit your doctor for replacement prescriptions. Order prescriptions with a simple tap to have them dispensed in advance. When you arrive at the pharmacy you can collect them immediately – no waiting! You'll need to leave your scripts on file at the pharmacy to allow this. Full information for all your medicines is offered in easy-to-access fold out sections, so you can quickly learn more about your medicine. Quickly access info including Common Uses, How-To-Use Tips, Cautions/Warnings, Possible Side Effects and more. Manage the medication of other family members from within your MedAdvisor account. Add accounts for kids or elderly parents and easily help them manage their prescriptions too. 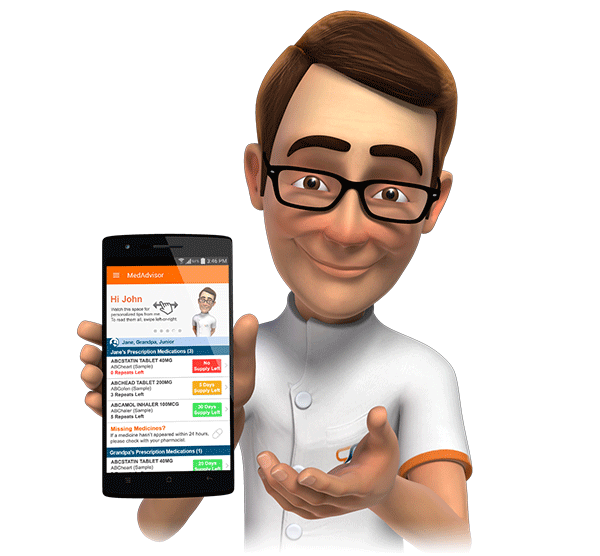 Your virtual pharmacist 'Pharmacist Phil' lives on your home screen and prompts you with personalised reminders and tips. Phil also appears in all MedAdvisor messages. For each prescription medication you can easily browse all scripts for that medication, both current and old scripts, with the full details of repeats remaining and dates you’ve filled the script previously. Allows you to conveniently order script renewals from the doctor through MedAdvisor when you have run out of scripts.